Commercial property construction is booming across Southern California. Cranes dominate the Downtown Los Angeles skyline, demand for industrial property outpaces supply and developers cannot deliver multifamily housing quickly enough. 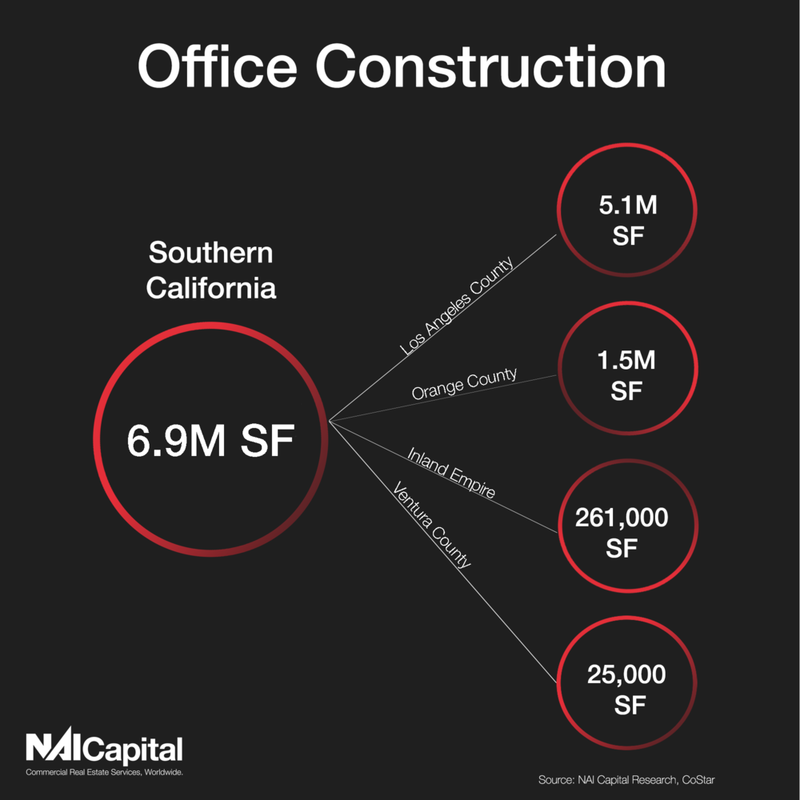 Take a look at a snapshot of the construction underway in Southern California’s office, industrial, retail and multifamily markets. For more detailed information, please see our construction reports.